Climbed many times across 40 years. Last time climbed on May 2. 2015. How to get there: This unique mountain can be climbed most easily from Loen, a small village by Nordfjord. 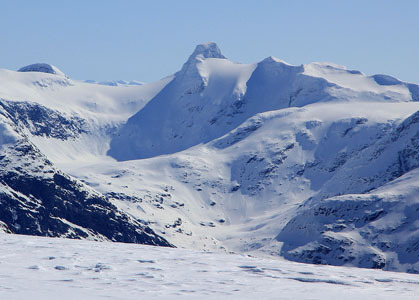 One travels towards Kjenndalen and finds the trail leading to Bødalsseter. 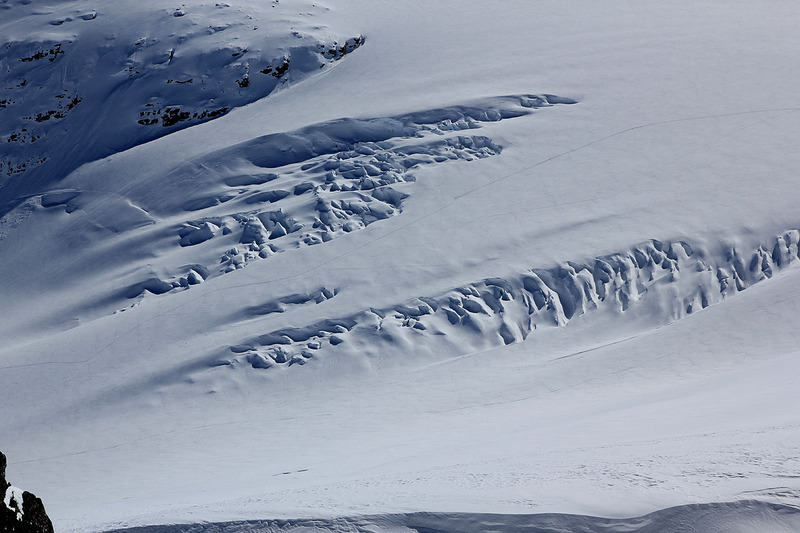 One can also alternatively travel in Erdalen (east of Stryn) and use the hut Vetledalsseter as a starting point. Route description: The beginning of the route depends very much on the starting point. 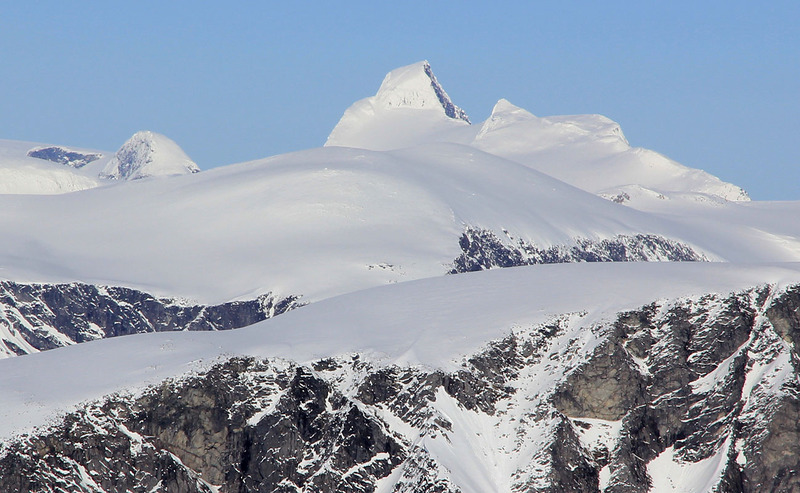 The mountain is climbed frequently in May by parties skiing on the Jostedal glacier. A characteristic and popular campsite next to its base is Ståleskar. 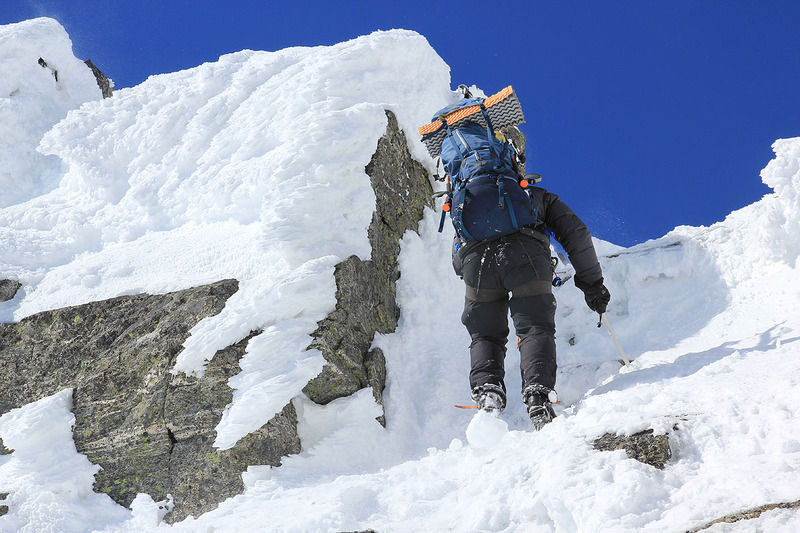 From here one climbs the ridge and proceeds to the final, steep part of the mountain without difficulty. 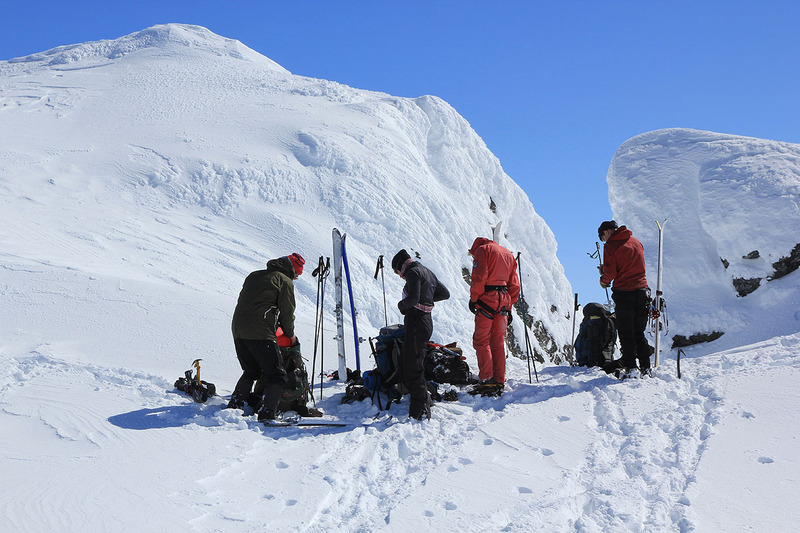 Hike to the left (west) side up to a point where there is a very characteristic small needle separated from the summit itself. From this point, turn right towards the mountain and climb directly to the top. 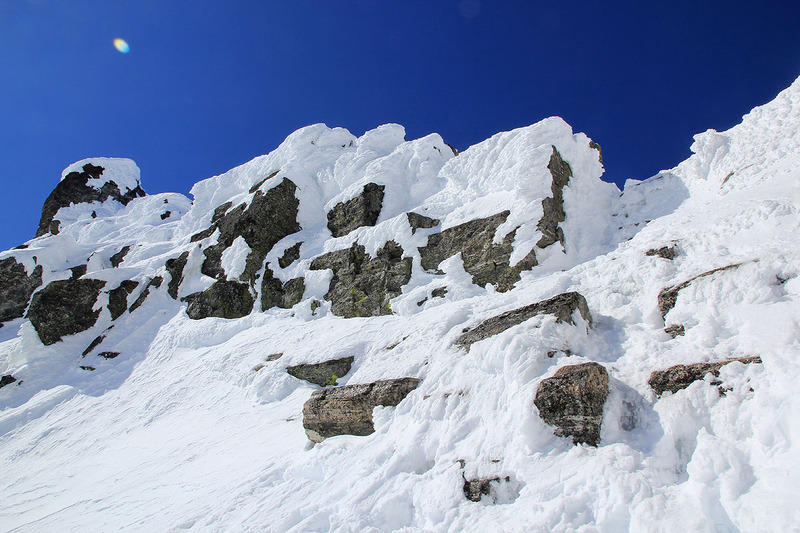 This is an easy scramble in summer conditions, the climb may require a rope if the final slope is hard and icy before June. From Skålefjellet, one first must ski nicely downhill directly towards Lodalskåpa. 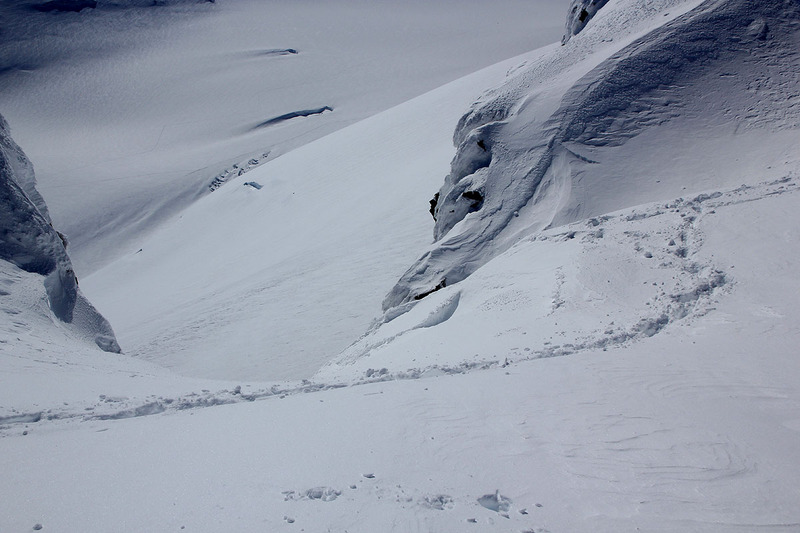 Next, traverse below the cliffs directly to the saddle between Tverrfjellet and Lodalskåpa. 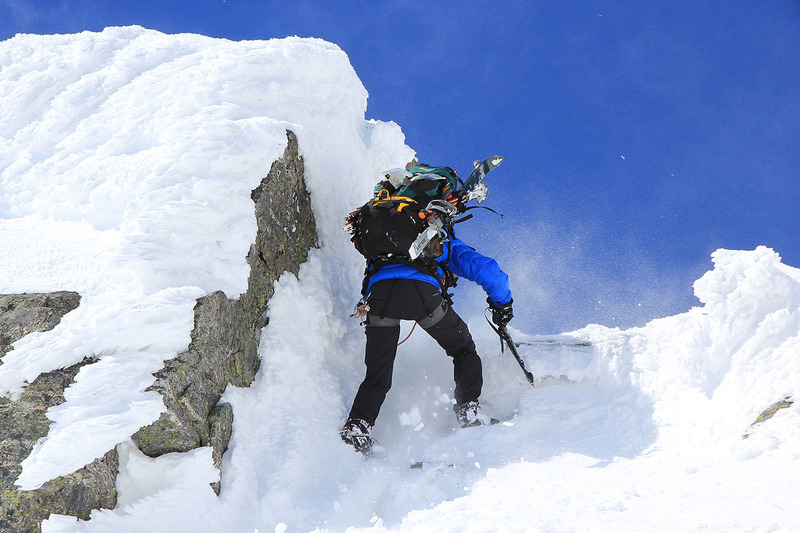 This traverse is fairly steep and one should verify that there is no avalanche danger. You will have Kåpevatnet downslope on your right hand side. From this saddle, ski more steeply uphill along the natural line, in order to gain the bulky east ridge of Lodalskåpa. 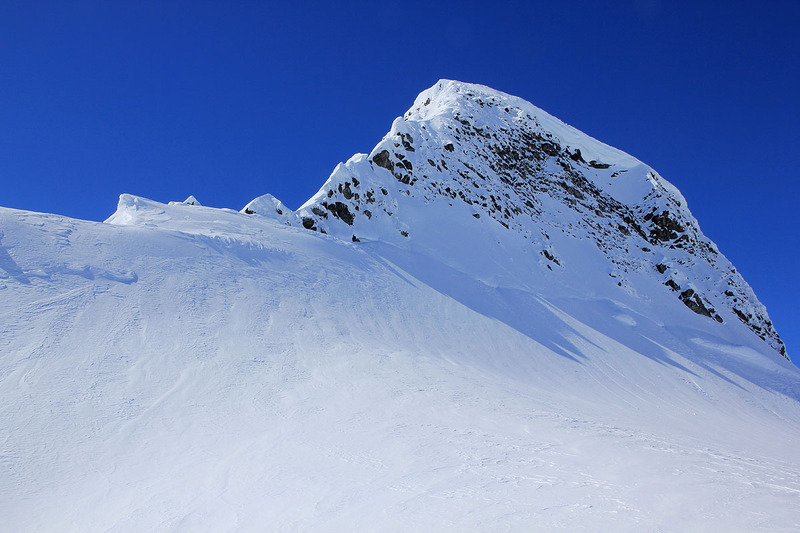 Ascend to the very top and ski right in order to get all the way to the area from which the steep, final summit ridge runs up to the very summit of Lodalskåpa. Descend in the gap that faces south towards Brenibba, the very well known route Småttene ascends the icefall far below you. This descent is very steep at its upper part. A rope is normally required. 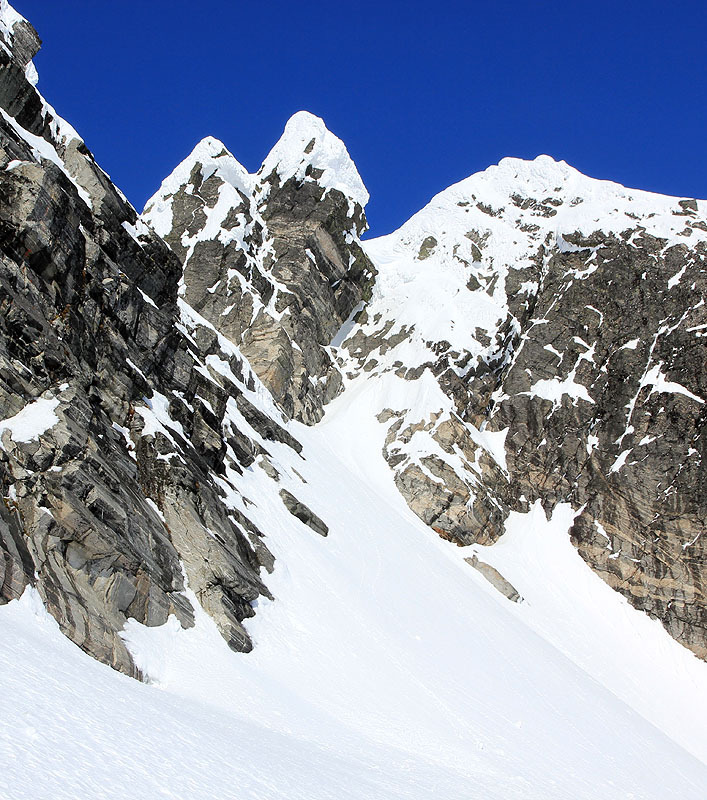 In late May and early June, the upper part consists of rocks that can be downclimbed fairly easily. Earlier in the season, this part may be steep ice. The normal procedure is to lower people down (like a rappel) or have people downclimb, but then lower the backpacks by rope. The last person should be capable of climbing down, possibly with a belay from below. The gully continues down, still quite steep, but normally filled with snow. Walk down to more gentle terrain. Continue skiing right, ie. uphill towards Vesekåpa, a small, subsidiary peak. Actually, you will ski to the saddle between Vesekåpa and the main peak which is now on your right hand side. Leave the backpacks here and ascend the final, but steep part of Lodalskåpa, see above. 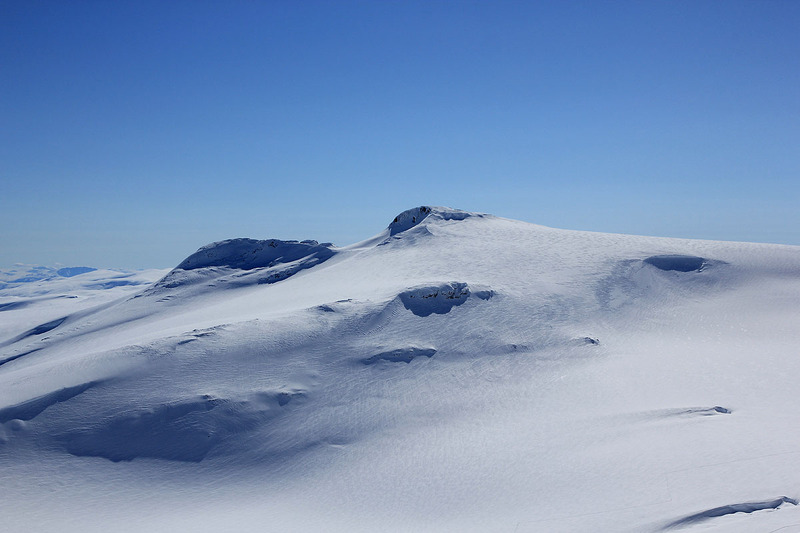 The day is normally concluded by skiing down the ridge, traversing high, but on the left (south) side of Veslekåpa. One will then get down to Ståleskard on the side facing Brattebakken and the most common route to Bødalsseter. This is a good place to establish camp. The Tour will continue to the very nice mountain Kjenndalskruna. Comments: From a distance this mountain often looks harder to climb than it really is. 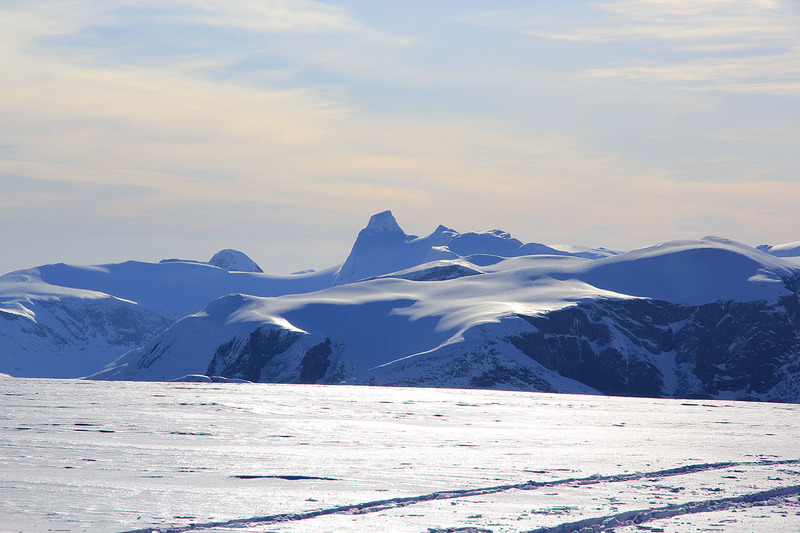 We normally climb it if weather permits, as part of our annual ski crossing of the Jostedal glacier in May. 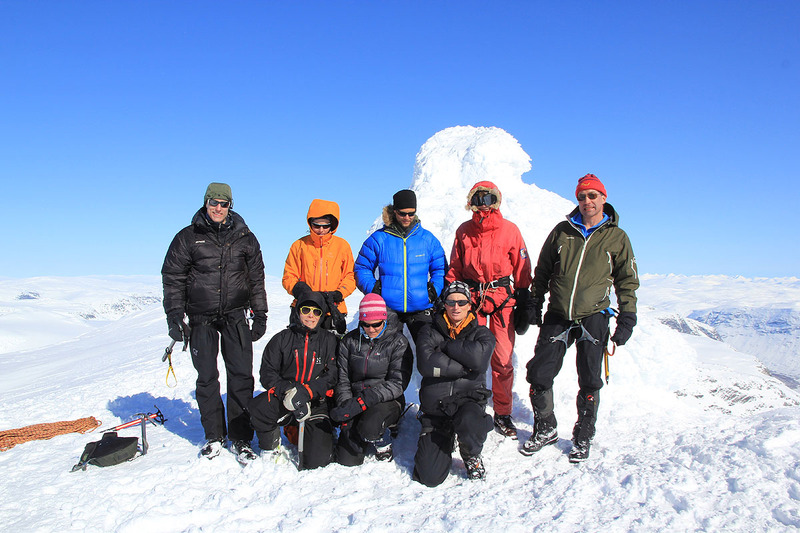 The summit is a nice ridge shaped area with beautiful views all around.